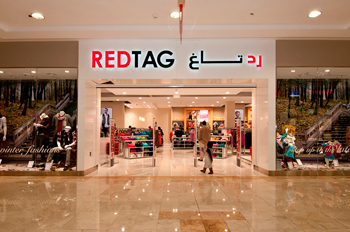 The company completed work on four Redtag stores in Dubai last year. 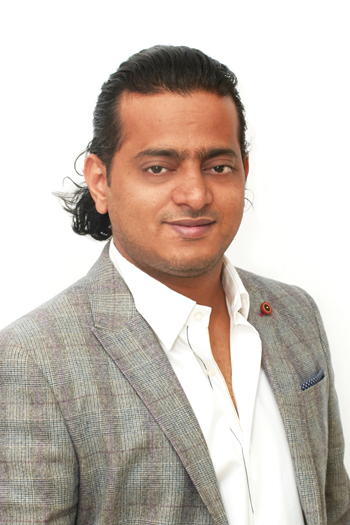 The company’s optimism is well-founded, says Hammer & Nail co-founder and director Mohammed Akif, given the burgeoning size of the fit-outs market. “There is a growing interest from expatriates to buy homes in the UAE, and residential sector is the biggest contributor to the demand for interiors and fit-outs. Some 39,000 homes are to be delivered in Dubai over the next two years, over the existing total stock of 365,000 units in the pipeline,” he comments. The UAE-based provider of turnkey fit-outs and interiors solutions indicates that its turnover crossed the Dh2-billion ($544.5 million) mark last year, stamping its entry into the big league. What is remarkable is that this has been achieved with an average of 15 projects every month in 2014, according to Akif. And this year has been a busy one for Hammer & Nail with a number of projects under execution and a projects pipeline worth Dh40 million ($10.88 million) – all to be completed in 2015. Among its major projects is a Dh3.5-million ($952,861) deal for structuring of a 30,000-sq-ft Geant supermarket in the UAE. The project is scheduled for completion during this quarter. Another project the company has been awarded recently is the interior furnishing as well as provision of turnkey solutions for a ground-plus-four-storey residential and commercial complex in Jumeirah, Dubai. Comprising 48 units, the project is worth Dh15.5 million ($4.21 million) and is awaiting approval. Hammer & Nail has also expanded its base in the region by acquiring new projects and through strategic tie-ups with UAE-based interior and fit-out firms such as Clifton interiors. The company is collaborating with Clifton Interiors to complete the interiors for multiple business towers located in Dubai’s Business Bay. The projects, worth a combined value of Dh12 million ($3.26 million), are expected to be handed over by mid-2015. The company witnessed a surge in activity last year as the real estate sector showed signification signs of improvement. “Construction projects in the GCC were up 92 per cent compared to 2013, primarily because of Dubai’s successful bid for the Expo 2020,” says Akif. The region is seeing a boom in business across sectors and there is a general positive outlook for foreign direct investment, according to data from Ventures Middle East. “Leading the way is the UAE in value and depth, with an active pipeline of projects across the residential, medical and hospitality sectors. Hence, it comes as no surprise that interiors and fit-outs is a multi-billion-dollar industry in the UAE which was worth $2.73 billion in 2014 and contributed to 35 per cent to the GCC interiors market,” he says quoting data from Ventures Middle East. Hammer & Nail’s humble beginnings date back to 2008, when demand for real estate plunged due to the recession in the UAE. Akif observes that properties that were left abandoned during the economic crisis required maintenance. This is when he decided to set up Hammer & Nail to offer maintenance and fit-out services with a 1000-sq-ft facility. Since then, Hammer & Nail has successfully made the transition from being a maintenance company to a respected brand in interiors and fit-out solutions. 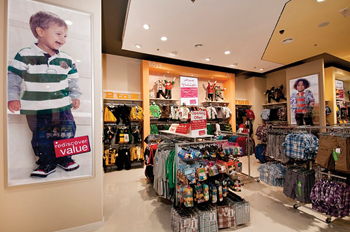 Hammer & Nail has delivered turnkey and interior services to leading brands. “As time passed and more experience was gained in the industry, we started catering to new segments with the same diligence,” says Akif. Hammer & Nail now offers services like annual maintenance and home improvements for residential clients, as well as commercial services such as refurbishment of commercial premises, annual maintenance and turnkey solutions for retail store and office spaces. It has grown to successfully deliver turnkey and interior services to brands like Geant, Redtag and Café Bateel with a skilled team of 65 members, including technical, labour and management divisions. It has also been involved with fit-out projects for leading real estate developers like Emaar and Nakheel. “A significant achievement last year for the company was four Redtag stores in Dubai, ranging in sizes from 10,000 to 15,000 sq ft and three projects for Geant hypermarket with a built-up area of 30,000 sq ft.
Akif believes that the projections for the fit-out industry depends on two major factors, the health of the real estate industry and the spending power of clients. This year, Hammer & Nail is targeting partial fit-outs for high-rise projects. “We are mainly looking at fancy ceilings and luxury floorings as well as interiors for high-end hotels in Dubai,” says Akif. The company is also working towards securing government tenders and Akif has recruited a special team with the required expertise to execute his plans this year. “The importance of an expert workforce cannot be ignored and is a vital part of the growth strategy,” he adds. Commenting on the market trends, Akif says, there is trend to combine the local culture with contemporary design and he appreciates the importance of understanding the tastes of its varied customer base. “It is crucial to liaise with customers to understand and deliver as per their requirements. Dubai is a melting pot of people from different backgrounds and culture and it is important for us to understand their needs and achieve customer satisfaction,” he says. The market is also focusing on sustainability and Hammer & Nail ensures that it uses certified products and materials, thus assuring clients of their environment-friendliness.